Penway Inc. is located in the center of the industrial midwest. 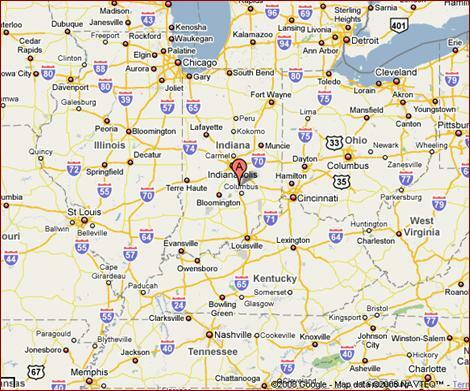 Our plant is located 35 miles south of Indianapolis, just off I-65 in Edinburgh, Indiana. We have easy access to I-70 going East and West, as well as I-65 going North and South. Our major airport is Indianapolis International Airport. You can find a map to Penway Inc. by clicking on the link found on this page.